Deep Sea Fishing - Intimidator Charters Inc.
Come by our Store and checkout our latest items, T'shirts, Seasonings and our own branded Hooks. A good crew can make a big difference between a good trip and a great trip! 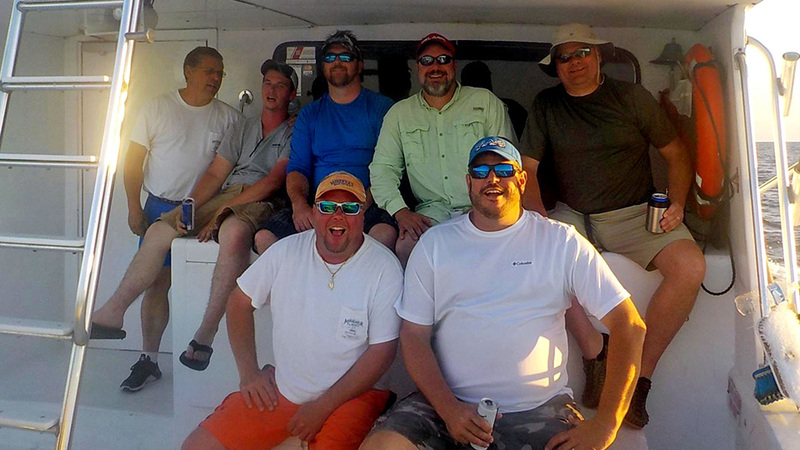 Everything you need to know to have a good time fishing with us! Intimidator Sportfishing - Orange Beach, Al. 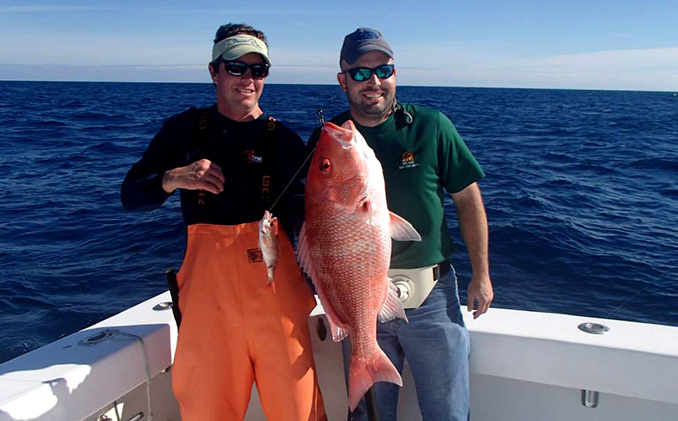 Intimidator Charters is the premier sports fishing service located in Orange Beach, Alabama. Since 1996, we have logged hundreds of trips per year while providing action-packed deep-sea adventures for thousands of happy anglers. We welcome the opportunity to serve you and start new friendships and rekindle old ones. 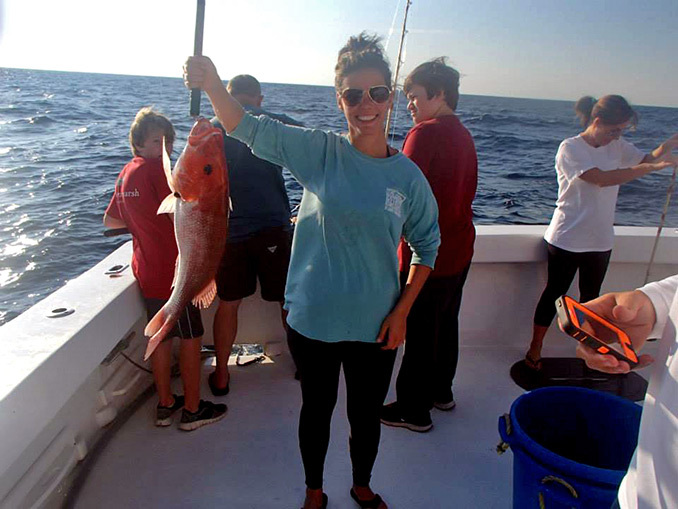 We hope that you will join us for an offshore fishing trip that will be the highlight of your vacation, corporate event, family reunion, or friendly get-together. If you are looking for a good time and want to catch some fish, then you have found the right place. Owner and Operator Capt. 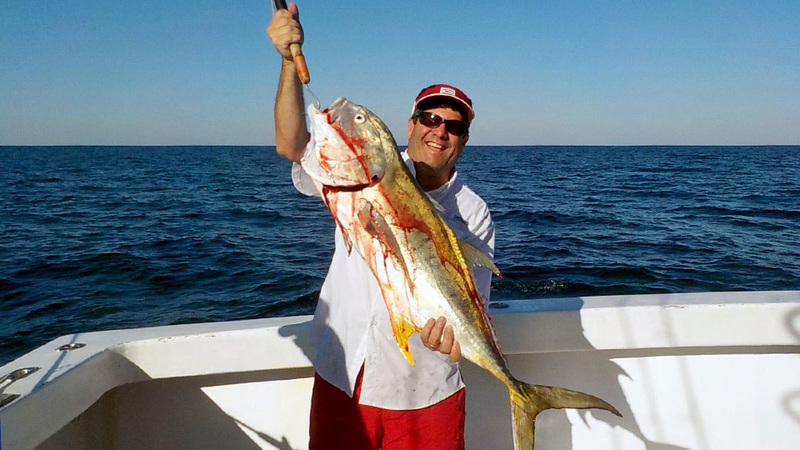 Johnny Greene is your host and will be with you every step of the way by assisting you in choosing and then booking a customized fishing trip that meets your needs and exceeds your expectations. 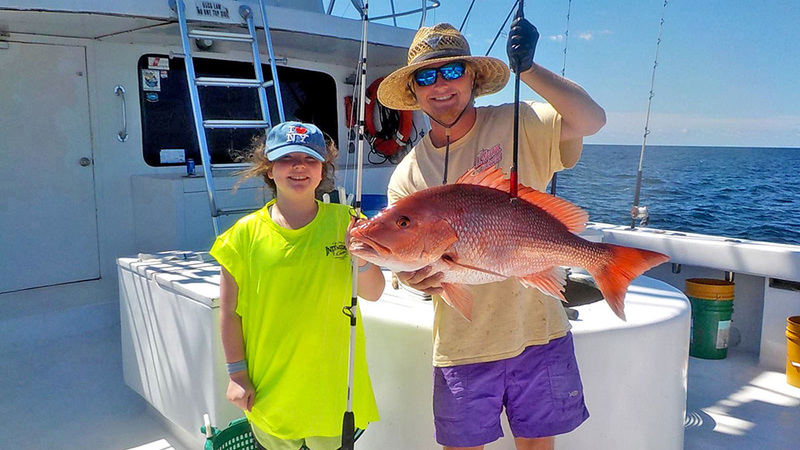 We know deep sea fishing is a considerable investment, but so are the rewards. That is why we offer trips for every group and every budget. No matter which tour you choose, we promise to work hard, to put you on the fish and satisfy your needs. 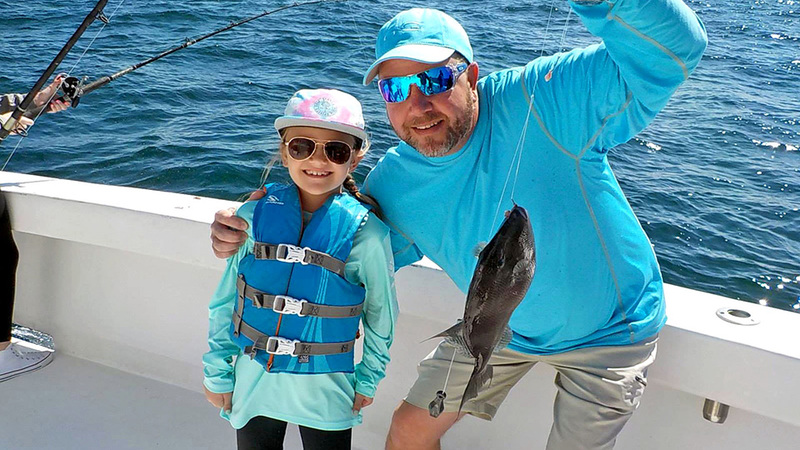 Once you settle in the cabin or on the spacious rear deck, you will find our experienced, professional and courteous crew have a kid friendly and "G-rated" attitudes. They are hard working young men that will do whatever they can to help show you a good time. 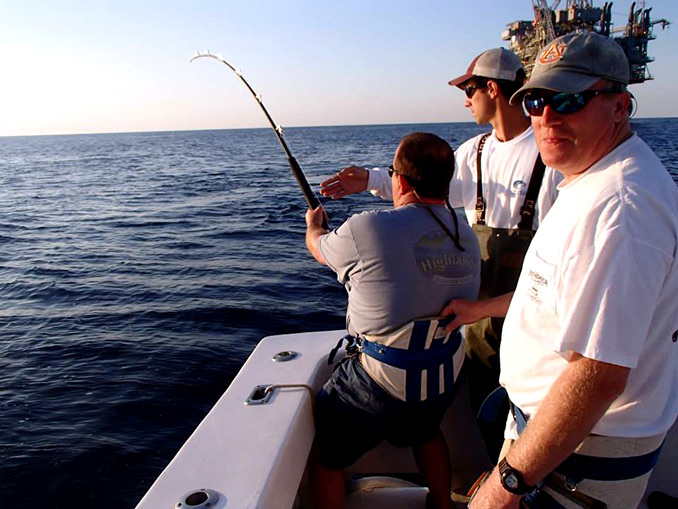 It doesn't really matter to us if you are a beginner or a seasoned angler, they will take care of your every need. 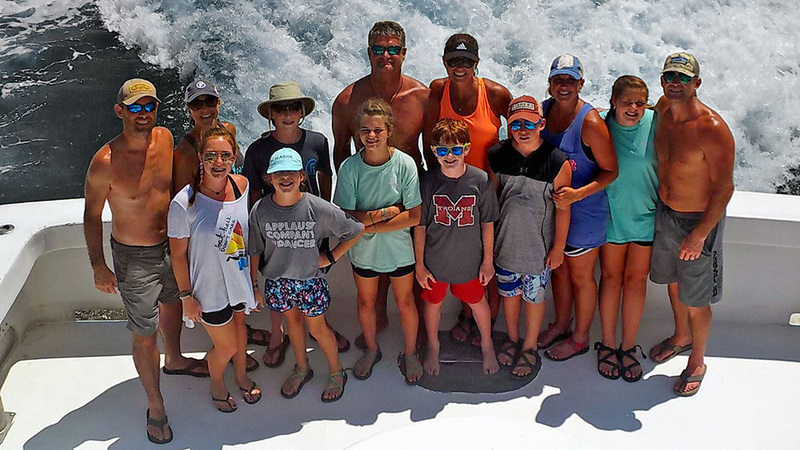 We are open year-round and offer many types of private charters from family outings to full day trips. When you book with us, you and your party will be the only ones on the boat. We do not offer walk on charters or pair individuals up with others. The Intimidator is a big, comfortable, modern charter boat and has everything you need to catch "The Big One." Equipped with the latest in marine electronics, other amenities such as two private bathrooms, multiple air conditioners, ice machine, with abundant freshwater tanks, ten individual bunk beds divided between 3 semi-private staterooms. 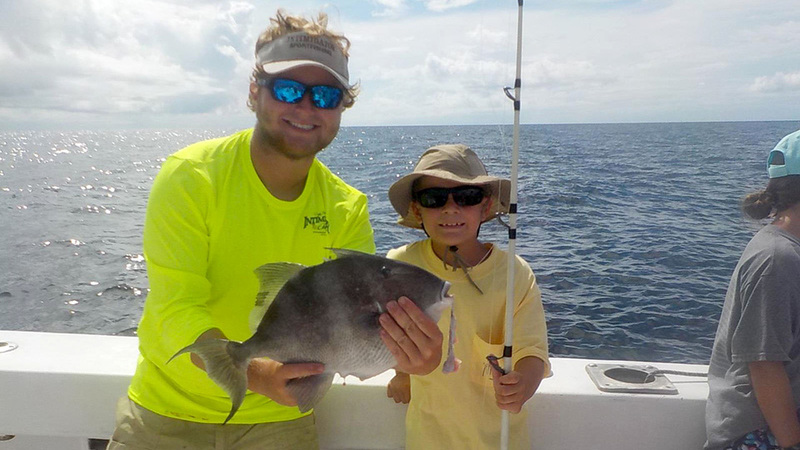 We offer a hands-on fishing school that educates and then demonstrates how to use our fishing tackle. We even do all the cooking, and we will feed you well when you choose this option on one of our overnight trips. No matter how long you will be on the boat, all you need to do is relax and let us take care of everything. When it comes to fishing, don't worry about a thing. Our fishing gear comprises of the best charter available that is meticulously maintained, new and is tested well before your arrival, so you don't have to worry while you are reeling in a big one! What fish will we catch? 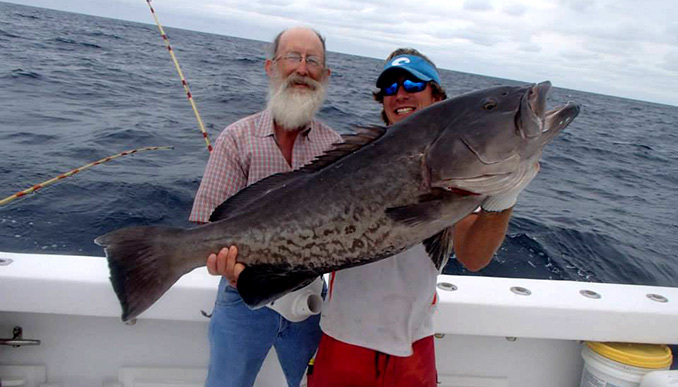 There are many species of fish to be caught year-round in the Gulf of Mexico. 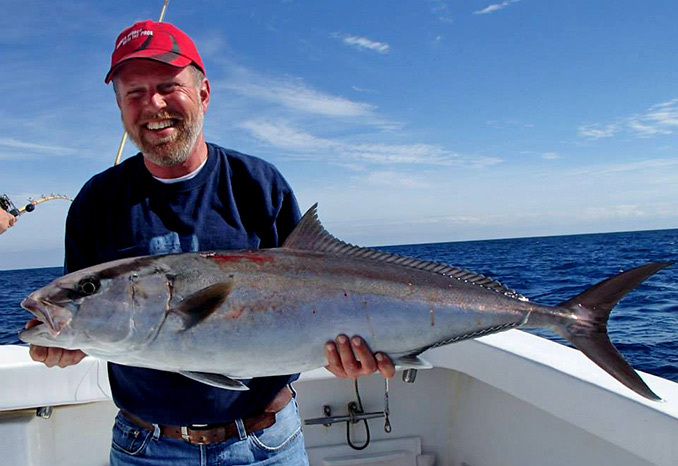 Springtime is known for cobia, king and Spanish mackerel, amberjack, triggerfish, and a variety of snapper species. 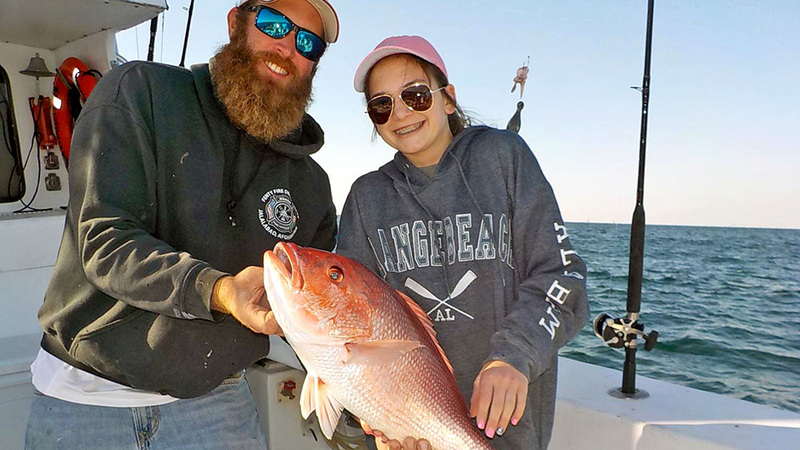 During the summer and into the fall, the focus seems to be more on the short family fishing trips or the longer multi-day fishing trips to the offshore rigs. 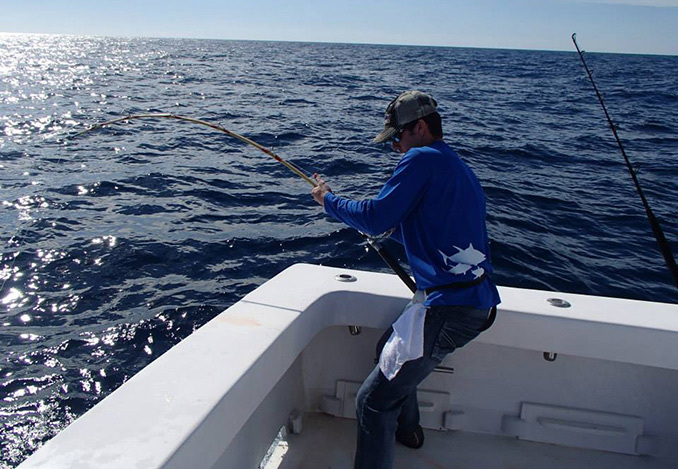 Big game fishing for yellowfin and blackfin tuna, mahi-mahi, wahoo, marlin, and swordfish are always exciting trips. 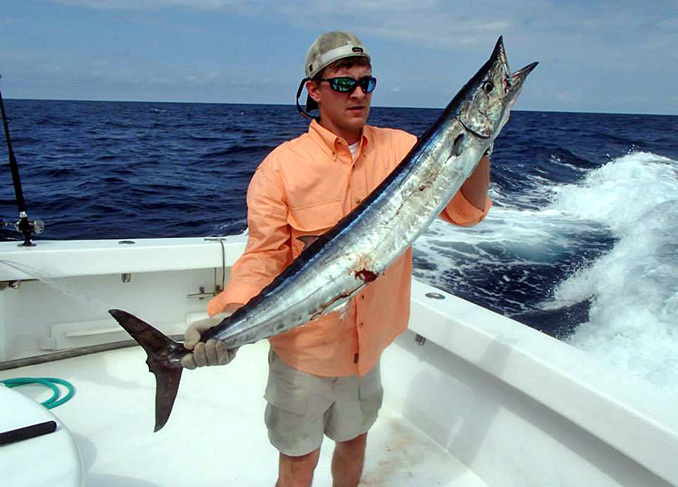 In the late fall and winter, the emphasis is more on near-shore trolling for redfish and mackerel on the short trips. 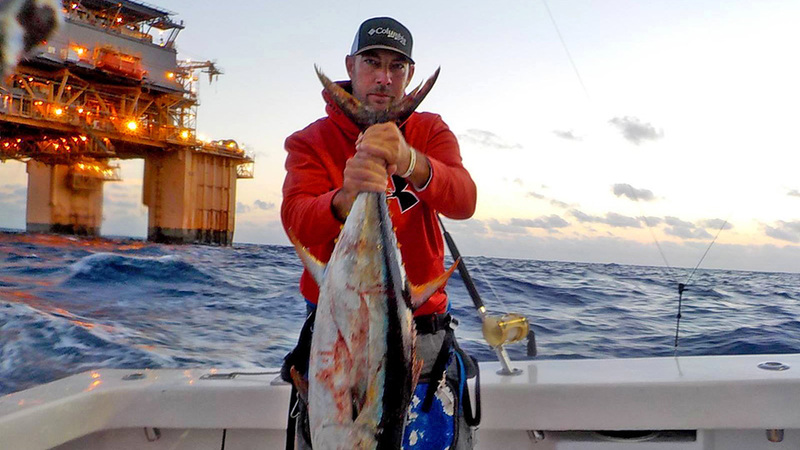 During this time of the year, we have approaching cold fronts that can make the weather a bit fickle, but the action is at its peak for big game offshore fish. Were berthed at the prestigious Orange Beach Marina, which is just a few minutes away from some of the best fishing in the Gulf of Mexico. 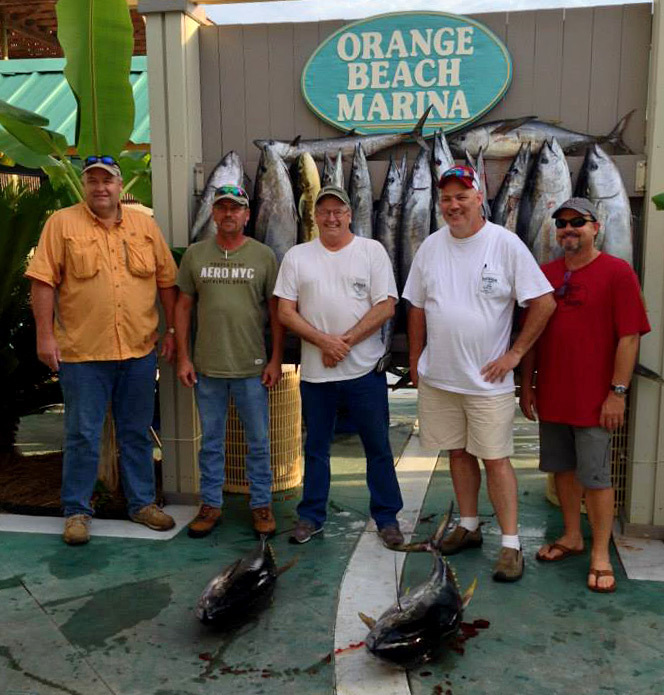 For the avid angler, our marina serves as an outlet for all types of adventures. Our Marina is an upscale, laid-back private atmosphere. There just a few charter boats moored at the marina by invitation only along with big privately owned yachts. In addition to the distinguished fleet, the marina facility, and a specialized dock store, there is one of the most excellent seafood restaurants in the area named "Fishers." They offer both dockside and fine dining with a causal "kid-friendly" atmosphere. 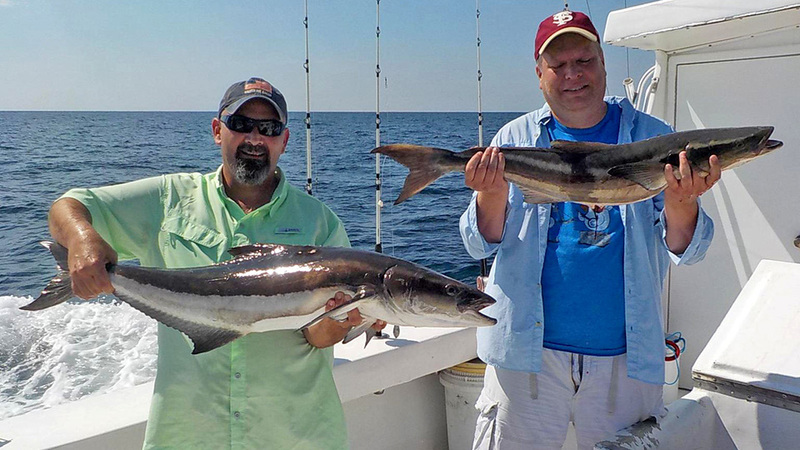 After your fishing trip, we encourage you to take your catch and try the "hook and cook." The restaurant chefs will take your catch and prepare it any way you like. Now that you have decided to go deep sea fishing with us, would you please fill out our Online Information and Reservation Request. We will review your request, answer any questions you may have and make booking your trip as simple and hassle-free as possible. I personally book all of my fishing trips, so if I'm offshore, it may be a little bit before I can respond to you. Book your Deep Sea Fishing Trip on the Intimidator Today!! !